Dr. Keene uses the most advanced and effective technique of hair transplantation in the world. We remove permanent hair follicles on the sides and back of the scalp that are not affected by male pattern baldness, and employ them as donor follicles. These permanent donor follicles are then transplanted in follicular units of 1-4 hairs (the way hair grows naturally) on the crown and front of the scalp. 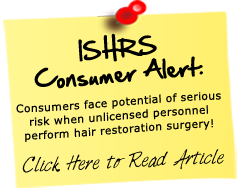 By using follicular units of 1-4 hairs, as they appear in nature, we avoid producing unsightly “corn rows” or other unnatural effects associated with hair transplant surgeries using grafts of 6 or more hairs. We also utilize double follicular units (DFUs) for added density with fewer incisions. 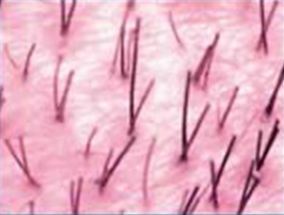 We typically limit DFUs to 3 to 4 hairs per graft. In some rare cases, for example with very fine, light colored hair, double follicular units of up to 5 hairs are used for added density. During our procedure, grafts are placed very close together, since too much space between groupings looks unnatural. Custom blades are used to allow high density.